Spread across hundreds of islands, stretching thousands of miles – the Caribbean is paradise. With year-round sunshine and palm-fringed pathways, it’s the ultimate getaway for holidaymakers. The region is a popular destination for cruise ships, often sailing across the Atlantic or flying into Miami. With so many ports to add to your itinerary, it can be hard to decide where to cruise when visiting the Caribbean. So, here is a handy guide for what to expect on a Caribbean cruise, whether it’s your first trip or your tenth! 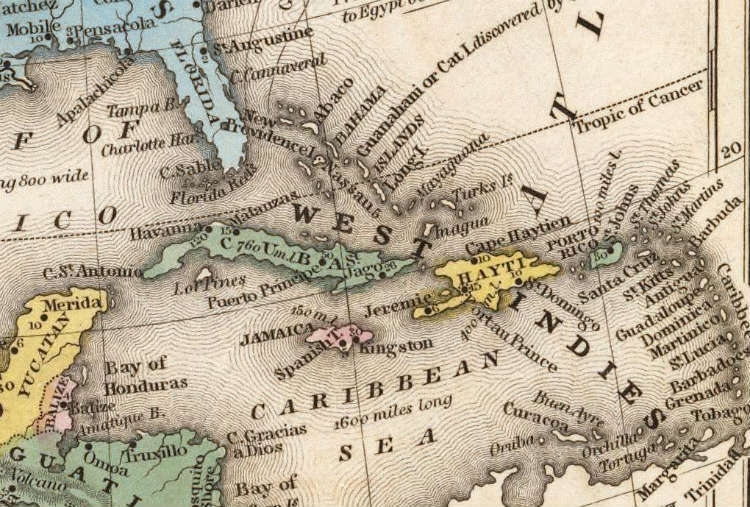 The Eastern Caribbean focuses on islands within the French West Indies and U.S. Virgin Islands, as well as larger islands such as the Dominican Republic and Puerto Rico. Many cruises will also visit the southern areas of the Caribbean when sailing across the eastern region, visiting Trinidad & Tobago, Aruba and even Curaçao. The British Virgin Islands (BVI) and U.S. Virgin Islands (UVI) feature in many Caribbean cruises. BVI comprise four main islands, each known for their reef-lined beaches and excellent yachting destinations, whereas the UVI cover a larger region, with islands and islets boasting white-sand beaches and rolling hills. 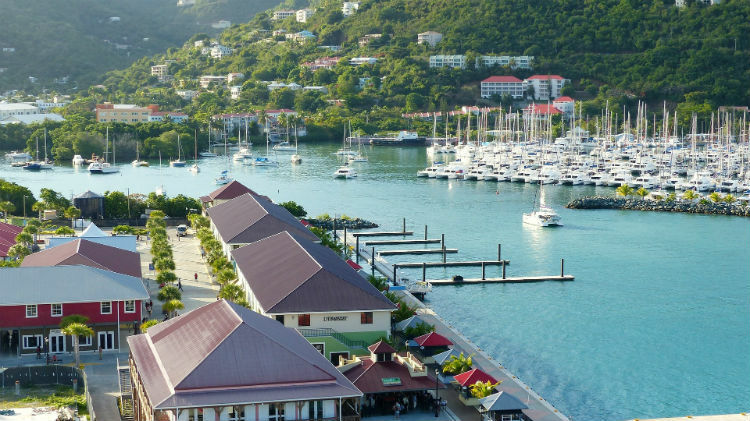 Visit attractions such as Smuggler’s Cove in Tortola, or Blackbeard’s Castle for history and harbour views on St Thomas. 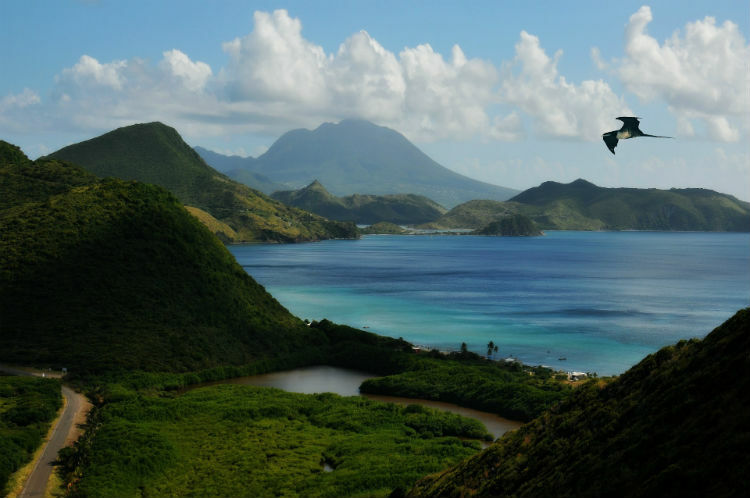 Located in the West Indies, St Kitts and Nevis are where mystical forests meet breath-taking beaches. St Kitts’ capital city, Basseterre, offers beautiful mountains leading to Brimstone Hill Fortress National Park, while St Nevis is supported by a single volcanic mountain, surrounded by verdant peaks. Located in the Lesser Antilles, Barbados is a firm favourite for Caribbean cruises, mainly sailing to the UNESCO World Heritage Site of Bridgetown. Here, you will encounter botanical gardens and plantation houses, perfect for afternoon tea and colonial history. 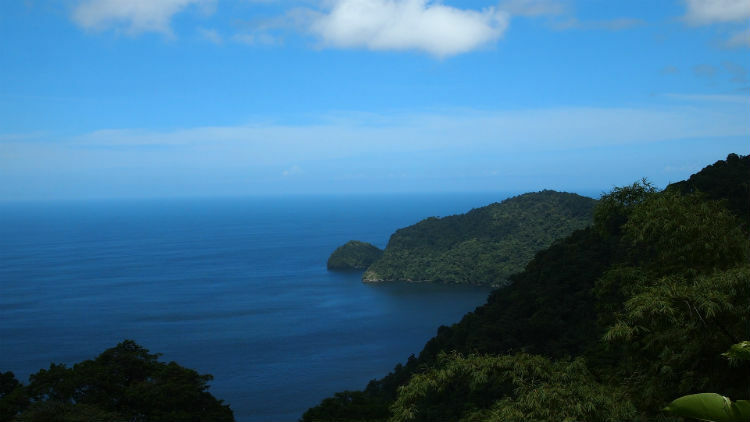 These two islands are beautiful contradictions; Trinidad showcases mangrove swamps and rainforests, where Tobago blossoms with palm trees and white sands galore. Together, they offer cruisers the perfect environment for bird watching, diving, hiking, swimming and enjoying the Carnival-esque nightlife. The western Caribbean offers a unique blend of ancient civilisations, sun and surf. From the Mexican Riviera and its Aztec roots to dynamic Miami and its lively boulevards. 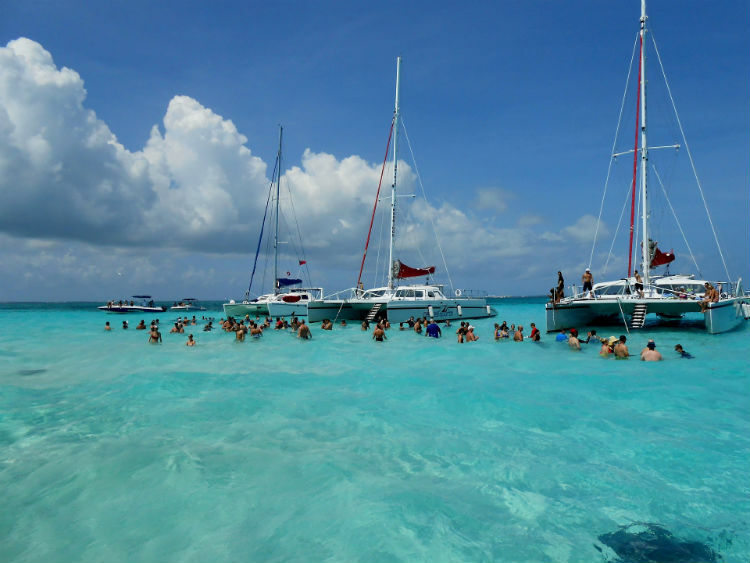 Sailing the western Caribbean offers cruisers the chance to experience islands such as Jamaica, Cuba and the Bahamas, each with vibrant lifestyles and captivating cultures. Don’t let the craggy coastlines put you off, this island has a secret soft side just waiting to be discovered. Explore its lush banana groves, shower beneath rushing waterfalls and float along rivers on-board a bamboo-raft. Sample spices and the signature jerk flavour while dancing to the sound of the Caribbean – a rhythm born out of Jamaica’s roots. Home to a world as fascinating below the surface as it is above, the Cayman Islands are perfect for snorkelling, swimming and meeting marine life. 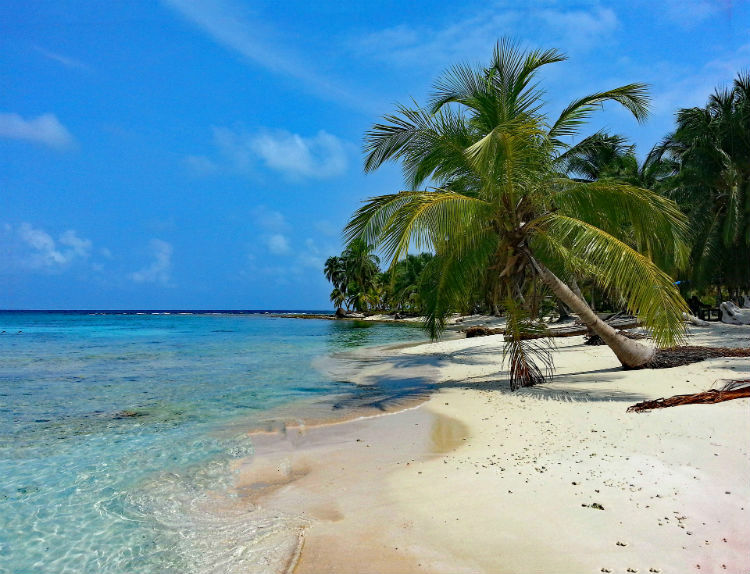 They comprise three islands: Grand Cayman, Little Cayman and Cayman Brac. Walk along the Seven Mile Beach, often voted the Caribbean’s best beach, and swim with stingrays at the Stingray City sandbar. 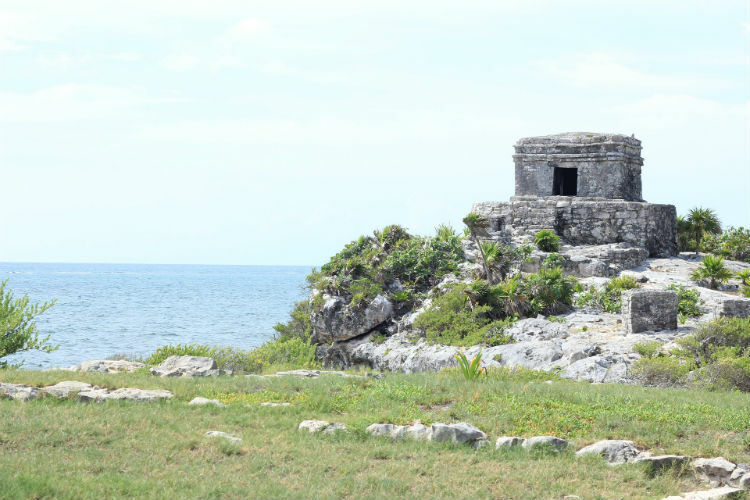 Many cruises to the Caribbean will include stops in Mexico, exploring the culture and scenic ruins. Riviera Maya is the main district where cruise ships sail, with main attractions including the coastal resort of Playa del Carmen, Tulum’s spectacular Mayan ruins and the eco-archaeological park, Xcaret. Lying in the northern Caribbean, Cuba is the meeting point of the Gulf of Mexico, Caribbean Sea and Atlantic Ocean. Though most visitors gravitate to the sand-fringed edges of the island, there is a whole other world to explore beyond. 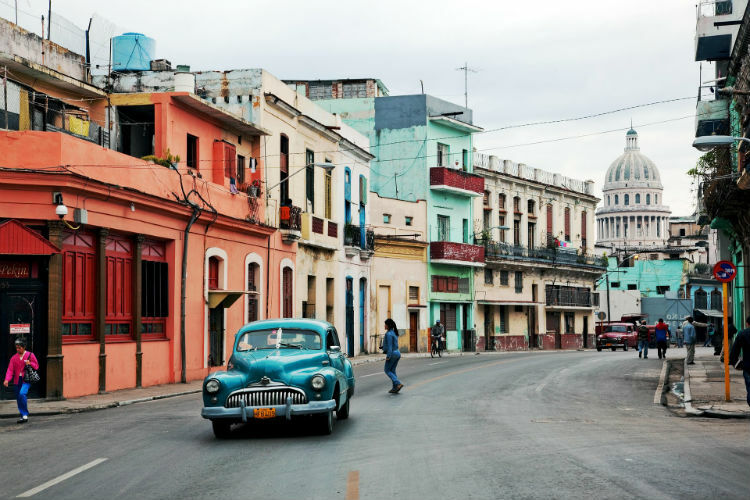 Start with abandoned coffee plantations, rugged mountains and the bohemian bars of Havana – as colourful in architecture as the country’s history. The dream location for many a cruiser, the Bahamas are 700 islands, cays and islets just off the coast of Cuba and Miami. 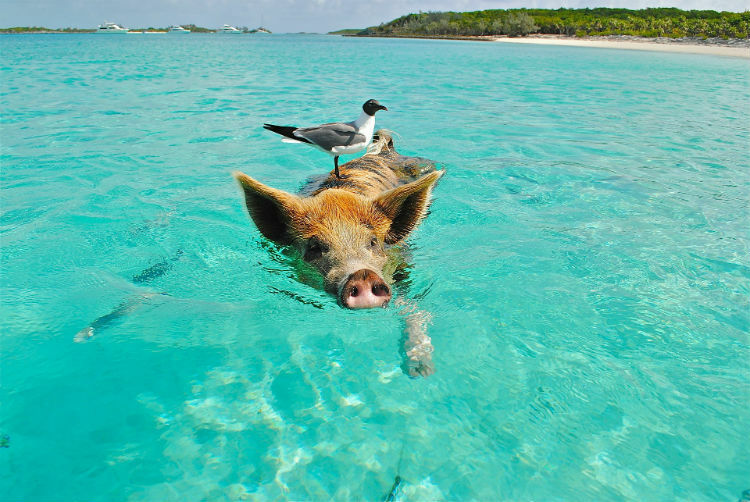 This region is popular for many reasons: its scuba diving and snorkelling sites, Bahamian cuisines and even swimming pigs! 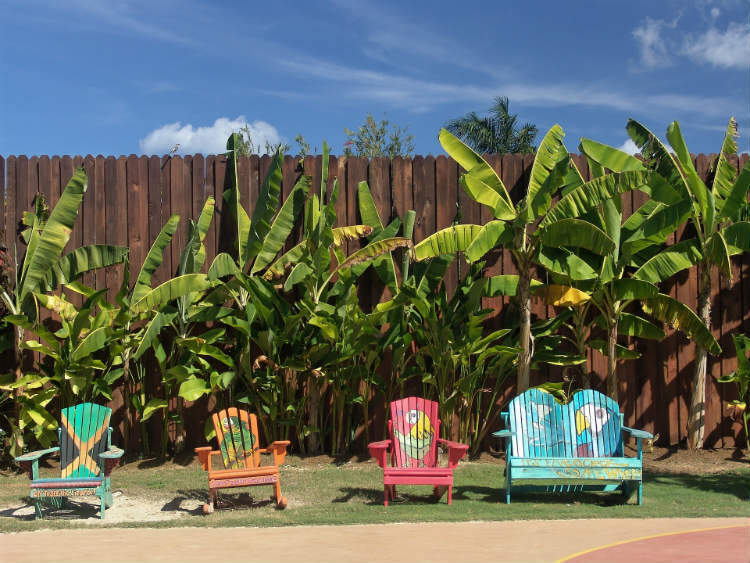 Explore Nassau, its relaxed capital city or visit Blue Lagoon Island to swim in Salt Cay. With such a rich and diverse choice of cruises, you can’t go wrong with the Caribbean. Each destination offers plenty activities for families, couples and friends alike, as well as relaxing vibes to really kick back under the tropical sun. If you’re already imagining yourself on a sun lounger, cocktail in a coconut-cup and waves ushering you to utter relaxation, then the Caribbean awaits your arrival. Take a look at our fantastic cruises to this immersive region and find your perfect sailing. Call our Cruise Concierge team on 0800 1234 118 for further details and award-winning assistance with your booking. 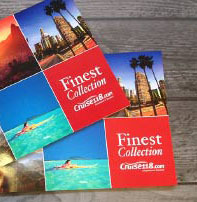 Hello – could you please send brochures (preferably hard copy, if not available .pdf to download) of cruises to the UAE and surrounding areas? Hi Jacqueline, currently we don’t have the facility to post specific brochures, but we can add you to our mailing list so you can keep up with our latest deals and cruises? Let us know if this is something you would be interested in. Thanks, Emma.